Dancing on Ice is a very popular British television show where popular celebrities and their partners perform a live figure skating routine on ice, trying to wow a panel of judges to earn their place in the next show. The popular show has been running since 2011 and its appeal has also reached the slots world! 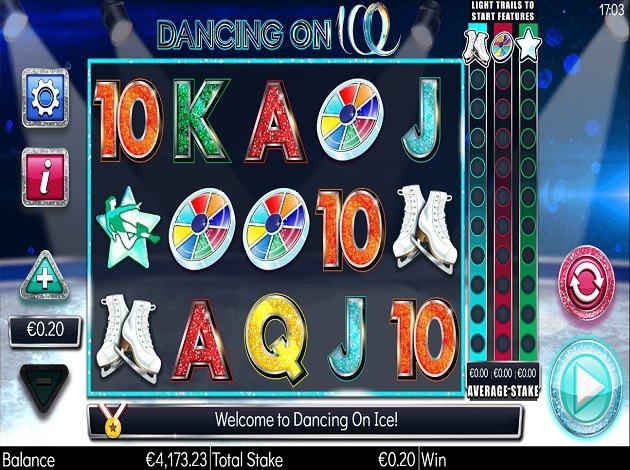 Storm Gaming now presents you with their very own, branded, Dancing on Ice slot. Prepare for a mesmerising slot with all the allure of the real show, featuring great music, impressive dance routines, and a magical, Winter Wonderland feel. Even if you’re not a fan of the show, this slot is all about giving you the chance to be part of a glamorous and fabulous experience on ice. Dancing on Ice has five reels and three rows, full of glittering symbols spinning over 20 fixed paylines. Dancing on Ice puts on a marvellous show with over six bonus features to trigger and entertaining, fast-paced gameplay. The RTP rate for Dancing on Ice is 94.43% and it’s a medium volatility slot. You can get on the ice rink from just € 0.2 per spin. The maximum bet possible is € 20 per spin. On the rink, you’ll notice that the symbols are all inspired by the famous television show: ice skates, a figure skater with a star behind her, the Dancing on Ice logo, and a coloured wheel along with five playing card symbols in a glittery design. There is also a special Spinning 7s symbol which is represented by a white snowflake which appears on reels two and four only. The Ice Spins symbol, in the style of the show’s font, is the scatter symbol. Finally, the other special symbol is the wild, which substitutes for all symbols except for the Ice Spins and Spinning 7s symbols. To the right of the reels, you’ll notice three different-coloured trails – blue, pink, and green - each one associated with a specific reel symbol. Some of the symbols on the reels will have a background colour matching those on the trails, for example, the ice skates can have a neon blue background which matches the first trail. The wheel has a pink background whilst the dancer has a green background. Whenever any of these symbols land on the reels, they’ll add a matching-coloured ball on the trail. Completing a full trail collection will trigger the associated feature. If you manage to complete all three trails in a single game, the judges will score that as a perfect performance, and you’ll win a huge cash prize. Dancing on Ice comes with a tremendous amount of bonus features, including some random bonus features as well. Three or more Ice Spins scatters will take you straight into the free spins feature. For three scatters you get 10 free spins, four scatters trigger 15 free spins, and five scatters earn you 20 free spins. This is a Pick Me bonus round where you have to choose one out of four judges to reveal a bet multiplier. A multiplier meter is shown beneath the judges’ panel, and each multiplier revealed will be added to the multiplier meter. The Cash Wheel is made up of several segments containing various multipliers and segments labelled ‘STOP’. If the wheel stops on a multiplier, this is added to the multiplier meter and the wheel spins again. With each spin, the lowest prizes will be removed from the wheel and replaced with a ‘STOP’ slice. If the wheel lands on the ‘STOP’, the feature comes to an end. Pick your dancer to start the Start Moves feature and watch your dancer perform a beautiful dance routine. If his/her move impresses the judges, you’ll climb up the multiplier ladder. If your dancer doesn’t impress the judges, the performance will be a failure and the judges will stop the round. Just two Spinning 7s symbols on the reels will trigger this Spinning 7s feature. You’ll get a number of free spins to enjoy on a classic 3x3 slot machine frozen and full of icicles. The normal reels will disappear and instead you’ll spin on this small reel set made up of lucky seven symbols only. You’ll earn a prize whenever you match three sevens of the same colour or three sevens in all three colours. On any spin during the base game, a dancer may pirouette onto the reels, leaving behind a column of wild symbols. The wins will be multiplied by the value shown on the golden metal shown underneath the reels. The best part when it comes to the payouts in Dancing on Ice is that all high-paying symbols pay from just two matching symbols on a line. The show’s logo is the best paying symbol and earns you 0.25x your bet for two symbols, 1x your bet for three, and 25x your bet for a hit of five. Next is the dancer symbol, which pays out between 0.10x and 12.5x your bet, whilst the wheel has the same minimum prize and a top prize of 10x your bet. The skater shoes will multiply your bet by at least 0.10x and up to 6x. The lowest wins come from the playing card symbols, with the A and K symbols paying the most out of all. These pay out between 0.25x and 4x your bet, whilst the 10, J, and Q symbols come with prizes ranging from 0.10x and 3x your bet. Dancing on Ice has a very attractive look with symbols shining with glitters and the bright ice rink showing behind the reels. The music is also great to listen to and really immerses you into the feeling of the show. All the icons you need to customise your game are also decorated in glitter including the spin button. The bet controls, settings, and information buttons are on the left of the reels, whilst on the right, you can find the spin button and the Auto Play button. Dancing on Ice is a beautifully designed slot that’s packed with bonus features and prizes. You can enjoy wilds, free spins, a fun mini-slot game within the main game, and so much more on the rink in Dancing on Ice. Spin the frozen reels of Dancing on Ice right here at Videoslots.com. Storm Gaming Technology is the number 1 UK independent manufacturer of digital land-based gaming solutions. The company supplies gaming platforms to operators in the UK, Spain, Holland, Belgium and Croatia with around 5000 products installed in bars, pubs, clubs, and arcade sectors. The platforms, terminals, software systems, and games that are prominent in street markets on social, mobile, and online platforms are all designed to support independent operators of gaming machines with the aim to put them to the forefront of quality gaming content offerings that engage and influence the players. Storm Gaming has over 5000 terminals in various countries, all of which are found in pubs, clubs, arcades, and even Bingo sectors. 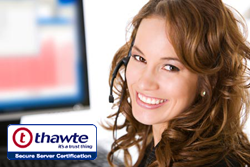 But apart from this, they also offer quality HTML games for the online market. Storm Gaming has some of the best performing HTML5 games available to the UK licensed operators. Built on the longstanding tradition of creating content for the UK markets, Storm Gaming always deliver games packed with thrilling features, fun gameplay and a unique player experience. Some of the best brands are offered by Storm, and surely you have heard of most of them since they include some of the top earners of the industry. Storm Gaming’s only game so far on Videoslots.com is Love Island, but look out for more additions in the future!